Engineered to provide the ultimate in protection, the new IDF Bulletproof Vest by Israeli Weapons is made of the highest grade with the NIJ rating of lllA/3A. The lllA/3A rating is a protective vest that repels ballistics from a .22 to a .44 Mag bullet. This impressive rating makes this vest a must-have in dangerous situations and for competition in various gaming circles. The vest is an external style which is made to fit over various materials and can be sized to fit with adjustable Velcro tabs at the shoulder and waist. With this vest you will receive two free panels of the highest grade and a free travel pack that is featured in black. 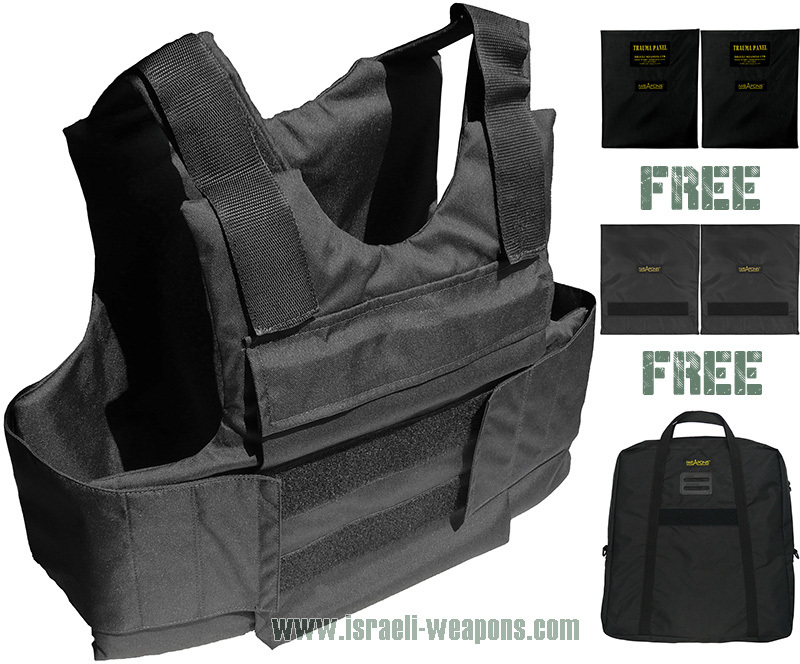 The IDF External vest is available in all sizes with adjustable straps to improve fit and comfort. An easy-to-view size chart is listed to enable you to pick the perfect size for you. The added benefit of the free protective panels allows for maximum security in a vest and allows you to get the job done safely. This vest is perfect for various perilous situations and classified employment positions that can put your health at risk. 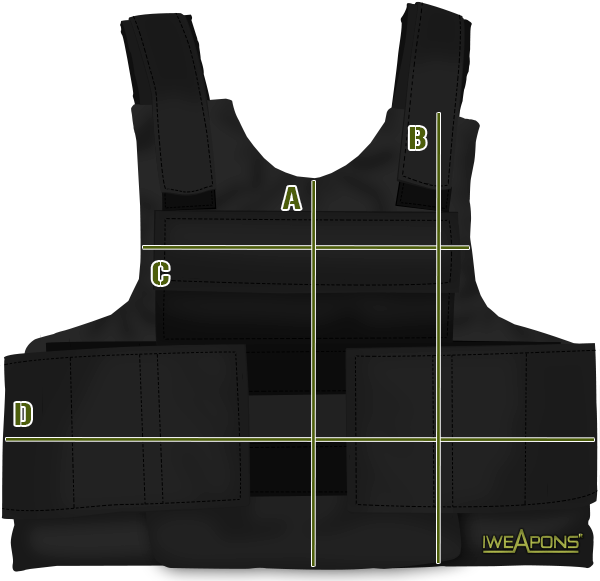 It is completely portable in a special case designed for the vest and allows you to take your vest with you easily when not being worn. Where do i order? I also want this vest in green, and ballistic helmet. I wanted to know if i would have to pay extra charge when I import it, like import duty and taxes, i live in US? Look to me like very basic vest with option for armor plates. I agree, this definitely not a tactical vest. Sometimes it is what you need. Is there discount if i order it with body armor plates combo? Can i get a detailed description of its warranty? I am going to the navy reserve; please, send me a IWEAPONS® External Personal Bullet Proof Vest Armor IIIA 3A.